W. R. Allen tells the story of the UCLA economics department and the distinctive community of scholarship that developed there. 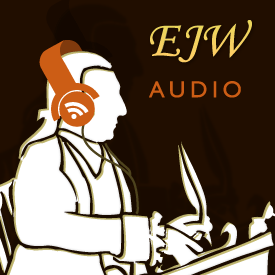 The podcast summarizes the memoir Allen has penned for EJW, “A Life Among the Econ, Particularly at UCLA”. Jeffrey Rogers Hummel begins with his EJW article, “Death and Taxes, Including Inflation: The Public versus Economists” (link). He and Lawrence H. White move on to the brave new world of central banking and stark fiscal issues now looming in the United States. Michael L. Marlow discusses his EJW article “Honestly, Who Else Would Fund Such Research? Reflections of a Non-Smoking Scholar”.